This CD contains 13 new age music compositions from Salva from Spain. This is his fourth album to be released since 1990. The songs are very beautiful and are mainly synthesizer combined with pianos and layers of sampled voices, choirs, flutes, and strings. It is in the New Age style and not really of my taste but I think the songs are well composed and arranged very well. If you like this style, then you will probably enjoy this quite a lot but there is no new ground in music broken with this release. Check out the samples on the web site and decide for yourself! 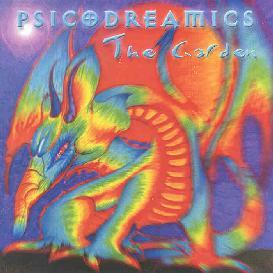 For more information you can visit the Psicodreamics web site at: http://www.psicodreamics.com. Hear music at the Psicodreamics Mp3.com web site at: http://www.mp3.com/psicodreamics.